The version I made uses arborio rice because I wanted it to be a thick pudding. 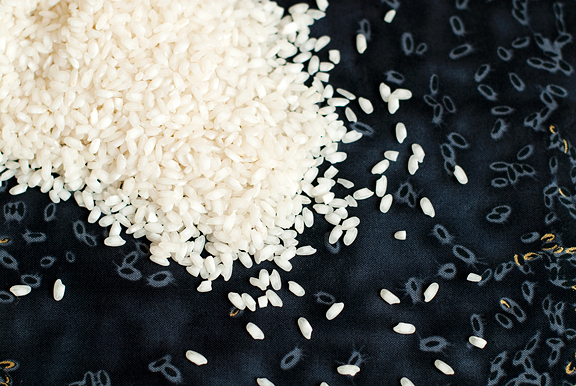 This short grain rice offers more starch to help achieve that lovely consistency. Everything but the eggs simmers on the stove until the rice is tender. At that point, you want to add the egg yolks – but if you stir them directly into the rice pudding, they will curdle… cook. That’s blegh. 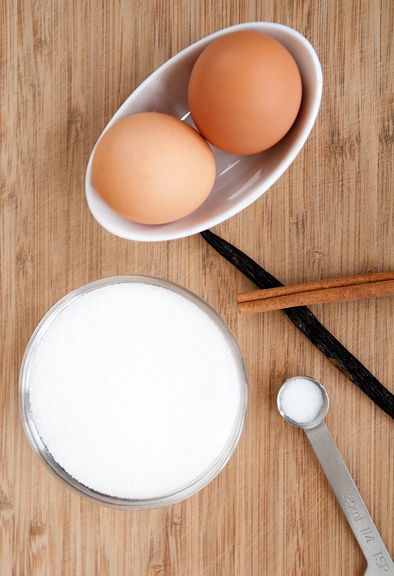 Instead, beat the egg yolks in a medium bowl, and whisk in a cup of the hot rice pudding to temper the yolks. It’s enough to bring the egg temperature up without cooking the eggs. Then stir that mixture into the saucepan. Stir the pudding over medium heat until it thickens. It’s just like making custard for many of the ice cream recipes in my archives. You can serve this hot or cold. I like both. 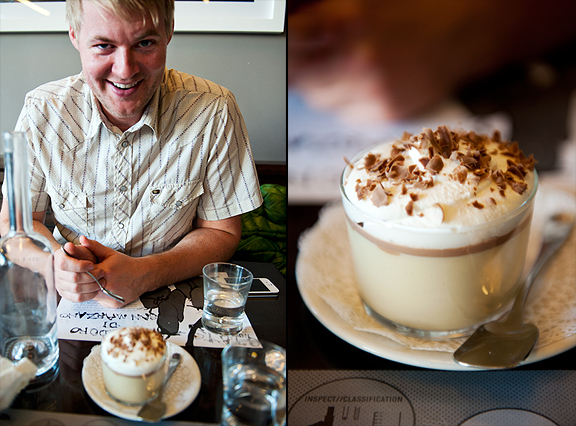 The original recipe offers mixing in some whipped cream, but I am perfectly happy without it. This is a creamy, rich, thick pudding all on its own and it is fantastic comfort food. Use a knife to split the vanilla bean lengthwise and scrape the seeds out. 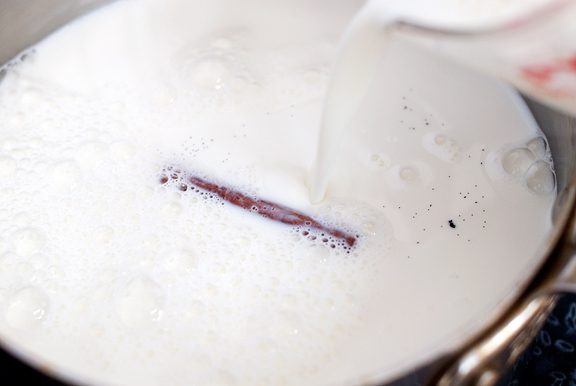 Place the seeds, vanilla bean, 4 cups of the milk, the rice, sugar, and cinnamon stick in a medium saucepan over medium heat until the milk comes to a boil. 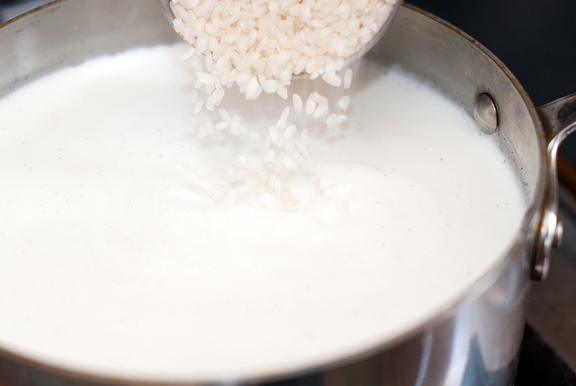 Reduce to a simmer and stir often and gently until the rice is tender – approximately 25 minutes. Remove from heat. Whisk the egg yolks in a medium bowl. Continue to whisk the egg yolks while ladling in a cup of the hot rice-milk to “temper” the egg yolks (to avoid cooking the eggs like it would if you poured the eggs directly into the saucepan). 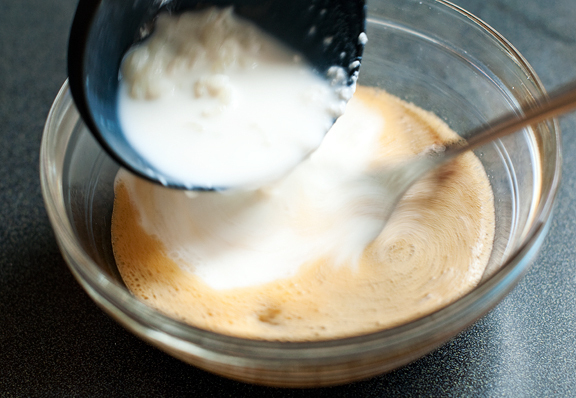 Scrape the egg mixture back into the saucepan and stir in the last 2/3 cup of milk until everything is incorporated. Return the saucepan to the stove on medium heat and stir constantly until the rice pudding starts to boil (only a few minutes). Remove from heat and place the pudding in a medium bowl and set plastic wrap directly on the surface of the pudding. Place the bowl in or on an ice bath to cool. When the pudding has cooled, you can remove the cinnamon stick and vanilla bean. Divvy the pudding into 6 servings, cover with plastic wrap, and refrigerate for at least 3 hours. I like to grate some nutmeg on top right before serving. The weather here in Virginia has been crazy too. Right now it’s early morning and 61 degrees! Love the rice pudding. I could make this a meal by itself! 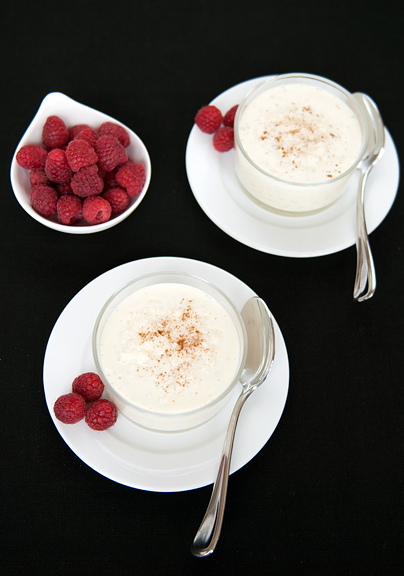 I love a good, classic, rice pudding like this one. Lovely recipe! Oooooh! I just bought some cardamom pods on Wednesday & thought that I would make cardamom & rose water rice pudding. Guess which recipe I’ll use! Thank you! Rice pudding…I have never used arborio rice. I can see how it would make it thicker and “creamier”. Yum. Yum. That sounds like a good weekend project. 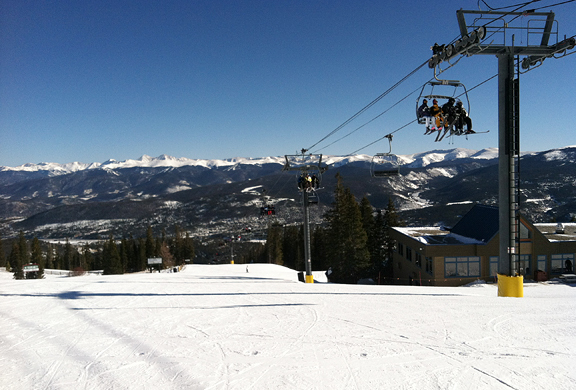 Fakey winter? Mmm sorta… Here in Sicily we have been having more cold than usual but very randomly: one day you need the blanket-taco look the next day you open all the windows to let the warm air come through. Love pure vanilla-light cinnamon rice pudding anyday though :D Must try yout version with egg yolk in it. love your photos. looks delish! That looks so delicious I want to weep. I would bathe in rice pudding if I could. Loooove rice pudding. Thanks for the recipe! I could make this now, but I only have 1 percent milk. D’you think that would work? Kitt – I think you could, but it might not come out as creamy? I’ve made rice pudding with non-fat milk before (but not the custard version), and it’s a little weird to me. Wow, can’t wait to try this. I love rice pudding. That rice pudding must be super rich! Love it, Jen! Kristin – that sounds like a fantastic combination. Bebe – I hope so too! Tiffany – that is hilarious!! 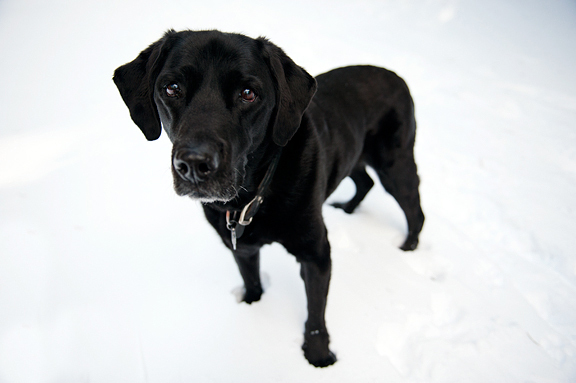 Margie – moms always make the best food in the world. Patricia – yes, I think that’s why I like it :) hee hee!! oh yes … i will be making this for breakfast (with short grain brown rice) for the fussy 10 year old. Nice version of a classic! Can raisins be added and at what point? Julie – good question. I think I’d probably add the raisins maybe 5 minutes before the rice becomes tender? I am having people over tonight for spanish rice, oven baked tacos and strawberry margaritas, so I decided some rice pudding would be great for dessert. Just finished cooling it and OMG it is delicious! I almost don’t want to serve it so I can have all of it :) Fantastic recipe!